LAS VEGAS – Floyd Mayweather Jr defeats Marcos Maidana a second time at the MGM Grand Hotel & Casino in Las Vegas, Nevada. After battling for 12 rounds the judges scored the game 116-111, 116-111 and 115-112, all for Mayweather. There were moments of drama, such as in the eighth round where Floyd accused Marcos of biting, and the 10th round where Maidana lost a point from an alleged shoving incident. The victory placed the undefeated Floyd Mayweather Jr at 47 wins and no loss, retaining the WBA and WBC welterweight championship title. Marcos Maidana, on the other hand, gets pushed back to 35 victories and 5 losses. During the post-fight interview Mayweather stressed that he is not ducking or dodging anyone. He added that he will fight Manny Pacquiao if the opportunity presents itself. If a Pacquiao fight presents itself, let’s make it happen. 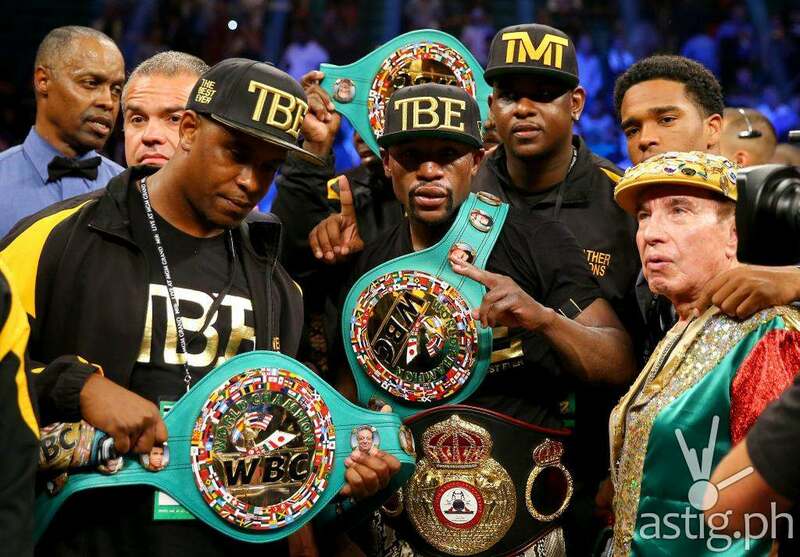 – Floyd Mayweather Jr.
“Let’s make it happen”, said Floyd. Pacquiao, on the other hand, has repeatedly called out undefeated Mayweather, agreeing to all of his demands, without receiving a single centavo as prize money. In January 2014 the 8-division world champion Manny Pacquiao, challenged Floyd Mayweather to donate all proceeds of their fight to charities around the world. “Above all, I challenge him to include in our fight contract that both of us will not receive anything out of this fight. We will donate all the proceeds from the fight—guaranteed prize, should there be any, gate receipts, pay-per-view and endorsements—to charities around the world,” said Pacquiao. “Floyd, if you’re a real man, fight me. Let’s do it for the love of boxing and for the fans. Let’s do it not for the sake of money. Let’s make the boxing fans happy,” added Manny. The question now is, what will be Manny’s response now? Will the fight really happen and if so, when?